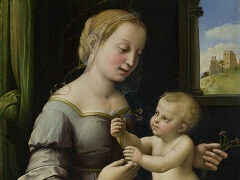 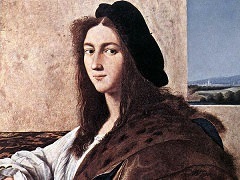 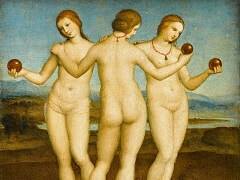 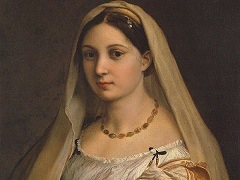 Raphael first visited the subject of Michael at the behest of Guidobaldo da Montefeltro, Duke of Urbino. 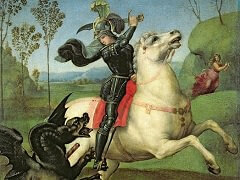 The miniature was completed in 1504 or 1505 on the back of a draughtboard, possibly commissioned to express appreciation to Louis XII of France for conferring the Order of Saint Michael on Francesco Maria I della Rovere, Urbino's nephew and heir. 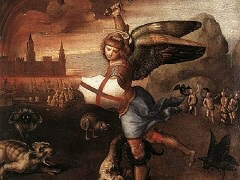 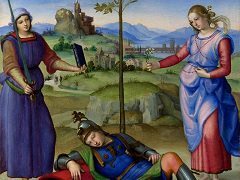 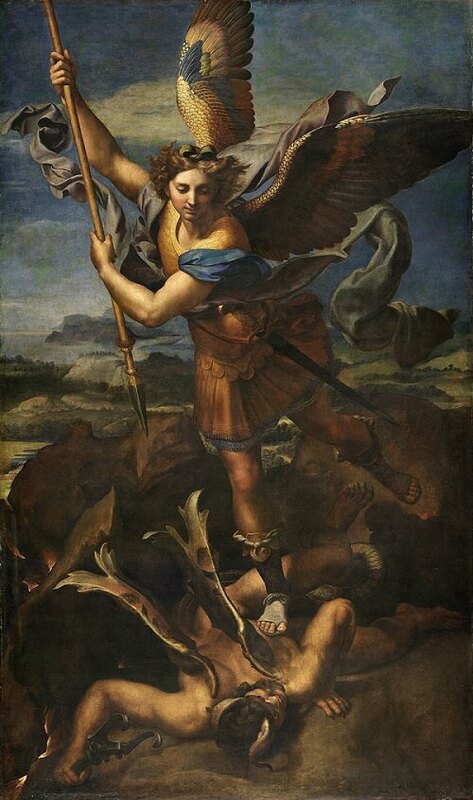 A little more than a decade after completing the little St. Michael, Raphael was commissioned to revisit the theme, producing St. Michael Vanquishing Satan for Pope Leo X. 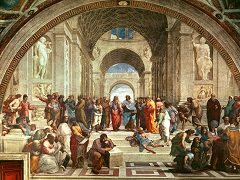 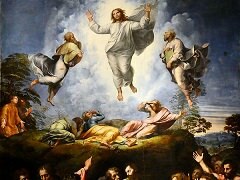 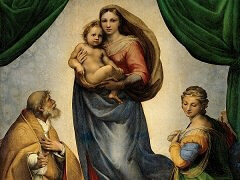 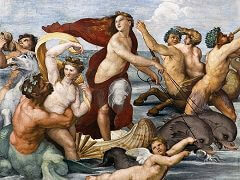 People often speculate that the artwork is not actually made by the master artist but by his right hand, Giulio Romano. 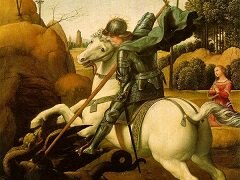 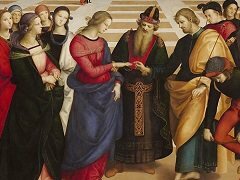 The use of black ink to create a smoky and soot effect combined with the use of yellow, gold, orange and its derivative hues create a metallic effect to the painting, which is not commonly seen in the artworks by Raphael. 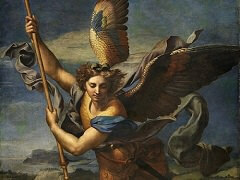 Nevertheless, one would still be amazed about the details on the wings and cloth of the archangel, and the look of triumph on his face.